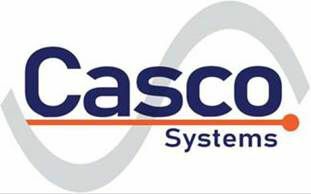 Casco Systems developed an innovative Virtual Metering System (VMS) for a 250 MW wind farm in the mid-West. This system monitored real-time wind farm production and allocated MW & MWH values to offtakers based on variable contractual obligations and transmission access rights. The VMS allows the wind farm flexibility to provide power via one transmission lines while presenting metering that reflects the power being provided to specific "offtaker" entities. Development of this system was implemented in a short time frame after the need for such a system was dictated by the interconnecting utility. With no model or design specification to follow, Casco Systems developed the concept, wrote the code, and commissioned the system in under six weeks. This resulted in the project being able to meet its energization date and to begin delivering power on schedule.